It would have been understandable if the 2018 Tri-Citian of the Year missed his own awards ceremony Thursday. Don Pratt, entrepreneur, volunteer and philanthropist, is a very busy Tri-Citian, who, by tradition, didn’t know he was the guest of honor. 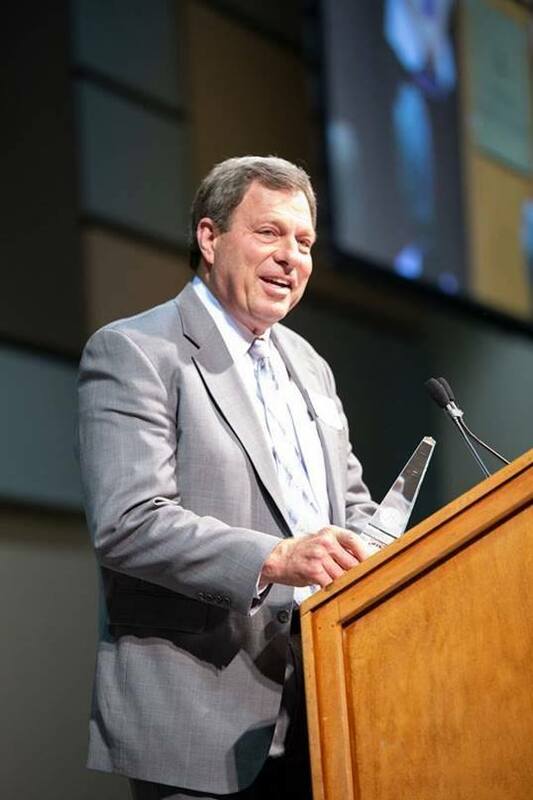 For his vast and varied contributions to the community, Pratt received the Mid-Columbia’s top civic honor at a banquet headlined by U.S. Secretary of Defense James Mattis. Mattis, a Richland native, also is speaking Saturday at a sold-out event at Columbia Basin College. His remarks Thursday night came too late for press time, but visit the Tri-City Herald or the Herald’s Facebook page for more about his comments. Rotary International and Kiwanis International jointly present the annual award to a leader who matches professional success with civic activism. Pratt does that in spades, according to Linda Moran, who nominated him. “I have been brought to tears when speaking to individuals who have been the recipients of his compassion and benevolence. To the point that I am ashamed at not having nominated him long ago,” Moran wrote. The Tri-Citian of the Year is a closely guarded secret until the winner is revealed at the banquet. This year’s event at Three Rivers Convention Center was no different. Twenty-five of Pratt’s nearest and dearest relations waited excitedly in a private room until the big reveal before the sold-out crowd of nearly 900. Pratt, 65, graduated from Kennewick High School in 1971 and runs a prominent business, Don Pratt Construction, a commercial and residential building firm. In his “spare” time, he keeps enough civic commitments to put mere mortals to shame. Moran described Pratt as a servant leader, humanitarian, teacher, philanthropist and role model who has contributed to many causes through his association with Kennewick’s Sunrise Rotary. He joined the service organization in the late 90s after attending a gathering to pitch Project IRIS, which equipped local fire stations with thermal imaging equipment. The connection fueled decades of involvement in a variety of Rotary projects. He is a tireless cheerleader for its Mid-Columbia Duck Race and accompanied fellow Rotarians on medical missions to Ethiopia, where he supported surgeons treating cataract patients. He has assembled and installed children’s playground equipment in Richland parks and helped create the hiking trails on Badger Mountain. The See3Slam Basketball tournament benefits from his organizational help — so do the Home Builders Association of Tri-Cities, Boys and Girls Club, Boy Scouts of America, Tri-Tech Skills Center, United Way of Benton and Franklin Counties, Safe Harbor Crisis Nursery, Habitat for Humanity and his church, The Church of Jesus Christ of Latter-Day Saints. In 2009, he took on a rare, high-profile effort when he heard the story of Ronny Coleman, the athletic director of Kennewick High School, who was paralyzed by an illness. Pratt and his team arranged to build a ramp at Coleman’s house. Pratt regularly carves out a day each week to deliver meals to the elderly for Meals on Wheels. The partnership began when a Meals on Wheels representative shared the organization’s mission with his Rotary club. The visitor mentioned that there was an unserved area because of the distance. Pratt told him to “consider it done,” making it a regular part of his week. Moran also said Pratt coordinated the Home Builders Association’s annual “Blitz Build” for Habitat for Humanity. At the dedication, organizers wanted to recognize him for the week he’d spent working on the house. But Pratt was busy helping at another house, avoiding the limelight. “While Don may try to blend in with the crowd and go unnoticed, his actions and service to the community certainly cause him to stand out,” Moran wrote. When it comes to quietly stepping up, this year’s recipient of the Tri-Citian of the Year award has made it a habit. Don Pratt of Kennewick is the type of person who sees a need and takes care of it. Whether it is taking meals to the elderly on a route nobody else wants to drive, installing playground equipment for kids or building a wheelchair ramp for someone’s home, Pratt just does it. And he does it without expecting any recognition for himself. He couldn’t escape the limelight Thursday evening, however, when his name was announced as the 2018 recipient of our community’s highest volunteer honor. It was an especially exciting evening because guest speaker for the event was so high-profile – U.S. Secretary of Defense James Mattis, a Richland native who has not forgotten his Tri-City roots. His presence made the night even more unforgettable for those in attendance. 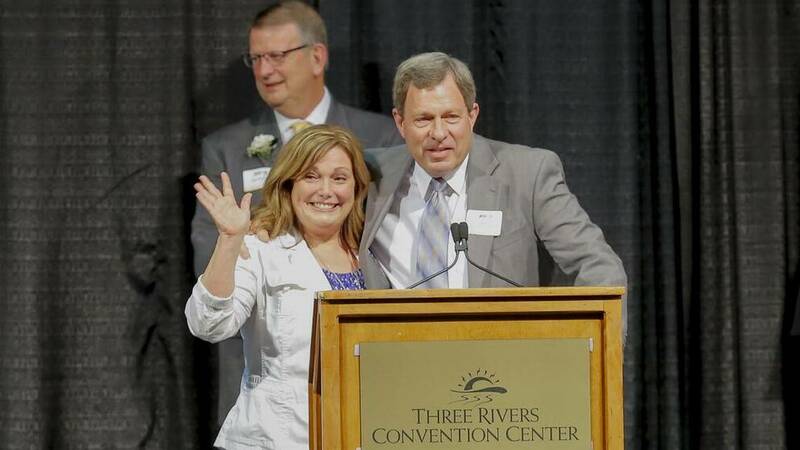 Twenty-five family members waited behind the scenes at the Three Rivers Convention Center so Pratt wouldn’t be tipped off that he was this year’s honoree. When his name was announced before the sold-out crowd of nearly 900, he couldn’t avoid receiving the thanks and praise he’s tried to dodge in the past. Pratt, 65, graduated from Kennewick High School in 1971 and runs Don Pratt Construction, a well-respected commercial and residential building company. With his construction background, Pratt has helped with many community projects that would never have been happened had he not volunteered his time and expertise. The list is extensive, but as an example, he led a group back in 2005 to fix up and install a new HVAC system at the Senior Center in Burbank. He also headed up a project at the old elementary school in Finley, converting parts of it into community meeting rooms. He carried the construction costs for the Meals on Wheels community kitchen and has been heavily involved in the Habitat for Humanity home-building program. Pratt takes charge of setting up and taking down the viewing area for special needs fans at the Tri-City Water Follies boat races. He has built or remodeled structures for the Boys & Girls Club of Benton and Franklin Counties, helped build the entryway at Grange Park in Kennewick, and was involved in the construction of Safe Harbor Crisis Nursery. We could go on and on. The list of structures around the Mid-Columbia with the Pratt touch is extensive. In addition to the construction help, Pratt has been a Boy Scout leader and currently serves on the board of the Blue Mountain Council, actively helps with Sunshine Rotary program and has helped raise thousands of dollars for the group. He also is an active member and leader of his church, The Church of Jesus Christ of Latter-Day Saints, and has organized many of its service projects. Linda Moran of Kennewick nominated Pratt for the distinguished award, and noted that she is “ashamed’ she had not nominated him long ago. Yes – he certainly does.